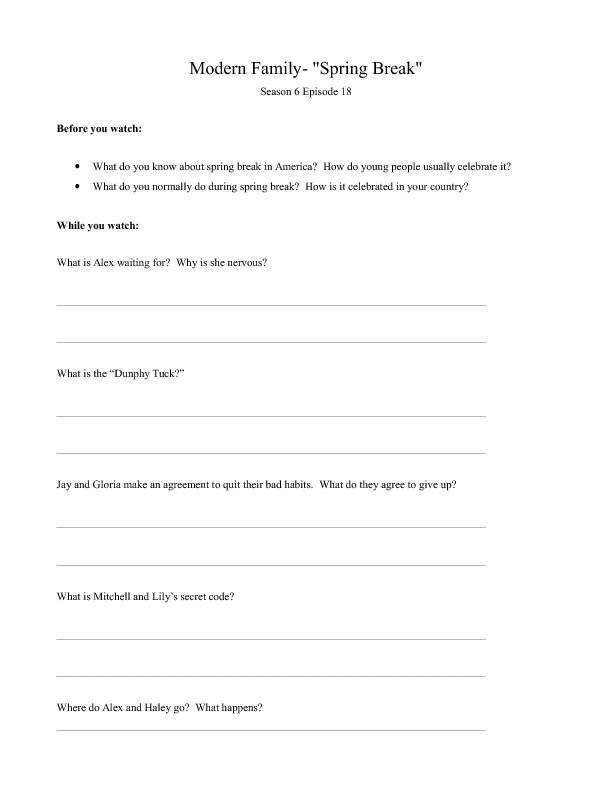 This worksheet goes with the episode of the popular TV show Modern Family, "Spring Break." I used this to go along with a lesson about Easter holidays and spring break in other countries as a fun activity to end the term. It is meant to be used with intermediate students, around B1 level.